Enterprises, the products of which are daily used by millions of families living in the near and far abroad. Strengthening exploration is the main factor in creating a reliable resource base for the long term. The main task is to increase the growth of industrial reserves of hydrocarbons over the volumes of their production. To this end, the company began to widely apply new methods and advanced technologies for finding oil and gas fields. The work carried out during these years confirmed the high prospects of Bukhara – Khiva and Surkhandarya regions of the country. Rich reserves were discovered on Ustyurt, where large gas fields Surgil, East Berdakh, Uchsay were discovered. Another alternative direction is the production of synthetic oil from oil shale based on high-speed pyrolysis technology. JSC “Uzkimyosanoat” is a complete corporate structure uniting chemical enterprises of the Republic of Uzbekistan. The Company develops and implements industrial, innovative, marketing programs for the development of chemical enterprises, thereby creating the conditions and prerequisites for sustainable development of the industry as a whole. The main tasks of the State Committee on Ecology of the Republic of Uzbekistan are to ensure the implementation of a unified state policy in the field of environmental safety, environmental protection, use and reproduction of natural resources; implementation of state control over the observance by ministries, state committees, departments, enterprises, institutions and organizations, as well as individuals, in the area of ​​the use and protection of land, mineral resources, water, forests, flora and fauna, and atmospheric air;Carrying out industrial integrated environmental management;organization and coordination of work on ensuring a favorable state of the environment and improving the environmental situation. The most important task of the State Competition Committee is full support of restoring and increasing the efficiency of production activities of privatized enterprises, creating new jobs on this basis, ensuring steady growth in household incomes, coordinating for these purposes the activities of authorized state bodies, financial and other market structures in close cooperation with the Chamber of Commerce and Industry, state governing bodies and local administration. The Ministry of Foreign Affairs of the Republic of Uzbekistan is a government body that is part of the Cabinet of Ministers of the Republic of Uzbekistan and implements the foreign policy of the Republic of Uzbekistan based on the principles defined by the Constitution of the Republic of Uzbekistan, as well as international legal norms. 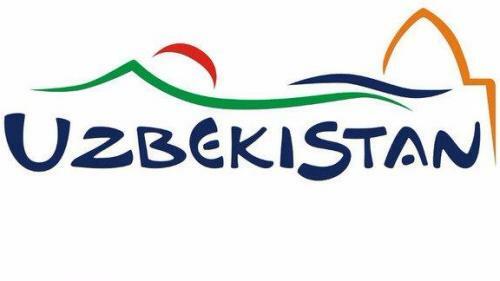 The main tasks and activities of the Ministry for Foreign Trade of the Republic of Uzbekistan are the development and implementation of a unified state policy in the field of foreign trade activities; implementation of comprehensive marketing research of world markets, assistance in implementation of programs for development of the export potential of the Republic of Uzbekistan, development and implementation of practical measures on developing and improving the competitiveness of high-value-added products produced in the Republic of Uzbekistan, taking into account the requirements of foreign markets. The Ministry is the republican executive authority, is subordinate by the nature of its activities directly to the President of the Republic of Uzbekistan and is included by its status to the Cabinet of Ministers. The main and most important task of the Ministry of Justice is to ensure the implementation of a unified state policy in the field of lawmaking and law enforcement practice. The Ministry of Innovation Development of the Republic of Uzbekistan was established in 2017 in order to ensure accelerated innovative development of all sectors of the economy and social sphere based on advanced foreign experience, modern achievements of world science, innovative ideas, developments and technologies, as well as in accordance with tasks defined by the Action Strategy on five priority areas of development of the Republic of Uzbekistan in 2017-2021. The Ministry is a government body in the field of information technology and communications. The main tasks of the Ministry are the development and implementation of a unified state policy and regulation of relations in development and application of information technologies and communications, coordination of implementation of e-government, formation of an information society and the digital economy.